Having bought a Range 110 to go with this fan, it works like a dream. Lighting and fan ooze quality. Thank you Rangemaster, for once again delivering top notch. Lovely item. This was my second choice as my first was out of stock but it's very classy and does the job well. Bought to accompany new rangemaster cooker for kitchen refurb, love the design, funky blue light strip along the front and extremely quiet. Builders said a dream to fit! This extractor is really efficient and it provides an attractive focal point for the kitchen. 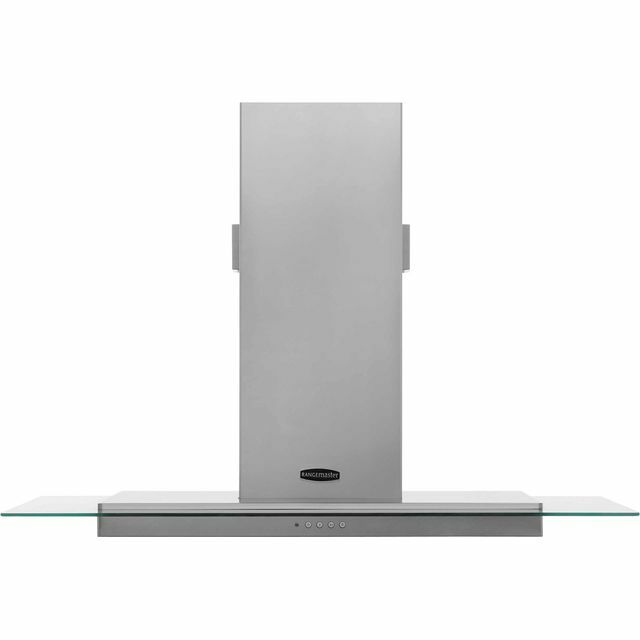 This cooker hood is efficient and good looking but the noisy fan and lights are a distraction.Expensive for what it is.